Adopt the shoreline … As the thoughts of many are already turning to summer and days spent on the water, it’s also a good time to give some thought to shoreline cleanup. As the thoughts of many are already turning to summer and days spent on the water, it’s also a good time to give some thought to shoreline cleanup. 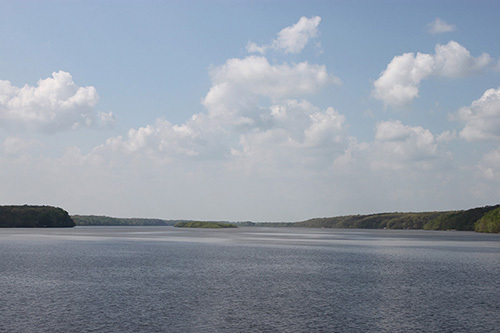 With that in mind, the Grand River Dam Authority is reminding the public of the Grand Lake “Adopt the Shoreline” program, established in 2017 to help keep the lake shore safe and scenic. The program is the result of a coordinated effort among GRDA, Grand Lake Power Squadron, Grand Lake Association, “Grow with Grove” Steering Committee and community volunteers. It was patterned after a very successful program on Lake of the Ozarks and will generate success on Grand Lake because of the work of a dedicated team of volunteers. According to GRDA Superintendent of Shoreline Enforcement Scott Horton, GRDA and other partners realized the need for the “Adopt the Shoreline” after routine aerial surveys of the lake shore. While the “Lend a Hand for Lady Grand” program has been successful for many years on Grand, the shoreline adoption effort is expected to expand both the reach and volunteer base for cleanup efforts. As part of the program, the shoreline is divided into 10 zones, with a coordinator for each zone who organizes cleanup events. GRDA supplies trash bags for the effort and will also be paying the disposal costs for all approved program cleanups. GRDA is also staffing its own full-time shoreline cleanup crew, complete with a barge and the equipment necessary to remove large debris from the shore. With summer boating season inching closer and closer, it is a good time for new volunteers to get involved in the effort. For more information, you can visit the program’s website at www.grda.com/adopt-the-shoreline, and select the “how to join” tab. You can also contact Horton at (918) 256-0894 for more information.